After the beginning of September, there was often a bad smell every time I turned on the air conditioner. I thought that this smell was dangerous, so I opened the cover of the air conditioner and checked inside. The filters were covered by a lot of dust and the air vent had become black because of the mold. I screamed when I saw that, but I managed to clean it. After the cleaning, I immediately turned it on and a deadly smell filled up the room. My efforts were all in vain and there was nothing else I could do by myself. But I can’t stand staying in my room without turning on the air conditioner as it was still very hot. After being at loss for a while, the other day I finally called a cleaning company to ask them to clean the air conditioner. Three days after I called them, a man of the cleaning company came to visit my apartment. The man who was in charge of the cleaning was a young guy who also looked like a university student, but he was very efficient and he carefully cleaned the air conditioner. He completely washed the dirt inside the machine using a high pressure water spray and showed me the stained water coming from the air conditioner. As I thought, this is not the kind of cleaning I could do by myself. 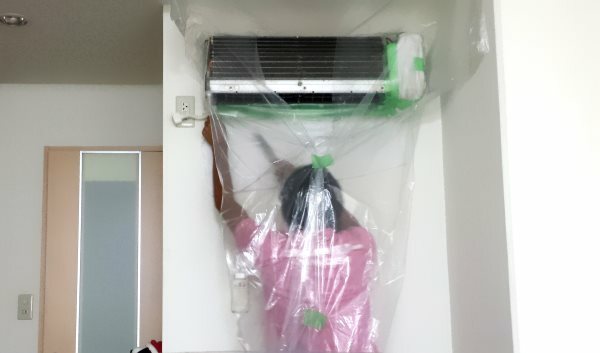 According to the man of the cleaning company, if the mold reaches the other side of the air conditioner and the mold is the cause of the smell, then it would be impossible to remove it with normal cleaning. In that case the bad smell would stay so it would be better to buy a new air conditioner. 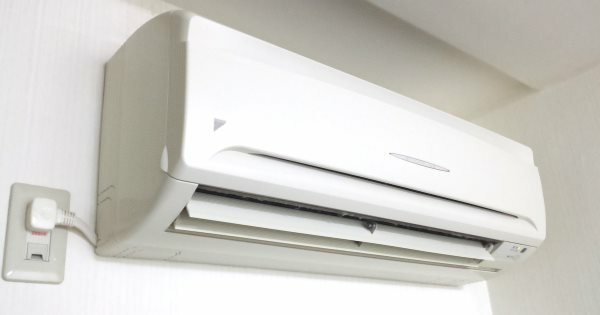 I was worried it might still be stinky, after the man finished cleaning and turned on the air-conditioner, the deadly smell had completely disappeared. Two days after the cleaning, I’m not noticing any smell from the air conditioner right now, but I still can’t let my guard down. If it does become stinky again, I might have to ask the owner of the apartment to buy a new air conditioner that time.